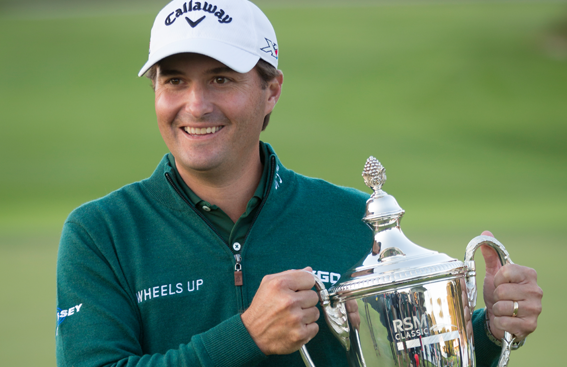 Speaking of Kisner, what an incredible job he did last week at the PGA Championship in Charlotte! While he didn’t go home with the win, he played a fantastic tournament. According to a recent PGA TOUR article, he and his wife are expecting their second child next month. We’re excited for Kevin and his family and will be looking forward to hearing news of the arrival of their new little one! Another thing that has us excited: We’re excited to be under the three-month mark before the 2017 RSM Classic! There are so many items coming together and being finalized, we can hardly wait to share them with you! 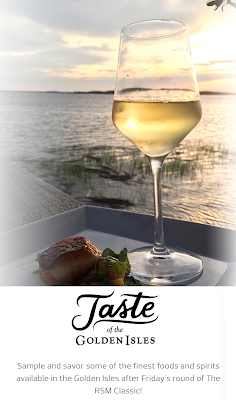 One event that was recently announced is the “Taste of the Golden Isles”. The Davis Love Foundation, sponsor of The RSM Classic, is excited to partner with the St. Simons Island Food & Spirits Festival (SSFSF) to host the taste event for the second consecutive year. Held in conjunction with The RSM Classic, the event will take place Fri., Nov. 17 at 5 p.m., ET at the Casino Building in Pier Village. Proceeds from the event benefit Hospice of the Golden Isles. A sellout event in its first year, “Taste of the Golden Isles” allows guests to sample and savor some of the finest foods and spirits available in the Golden Isles, prepared by award-winning chefs from across the region. Event tickets are $70 and include unlimited tasting, a commemorative wine glass, live music and a ticket to attend The RSM Classic on Fri., Nov. 17. Guests must be 21 years or older to attend. Tickets are limited and can only be purchased at here. If the tasting event isn’t quite your “thing” (or even if it is), you might be interested in merchandise from The RSM Classic. If so, there’s no need to wait! In fact, there’s currently merchandise available on the tournament website. Select premium golf shirts from POLO Golf and performance hats from Imperial Headwear are available now. Take a look here. Check back next week to learn what’s new with Team RSM and The RSM Classic (Nov. 13-19).